TURIN, Italy -- Chrysler Group will build more hybrids to comply with tougher U.S. fuel economy standards proposed for 2025, says Sergio Marchionne, CEO of Chrysler and Fiat. Chrysler has at least one hybrid in the works, a hybrid version of the Chrysler 300 due in 2013. But Marchionne has been skeptical of hybrids, saying they are costly to produce and would sell at low volumes. 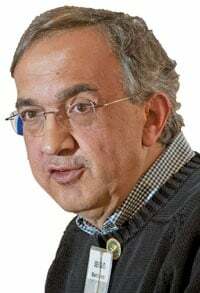 In an interview here, Marchionne said he has not changed his attitude about hybrids. But he acknowledged that fuel economy standards for 2025 have made hybrids mandatory. "I have no other way of getting to 2025 numbers than by going to hybrids," he said. In July, the Obama administration said it plans to increase the standard for cars and light trucks to 54.5 mpg in the 2025 model year from 35.5 mpg in 2016. The increase would be the biggest jump in corporate average fuel economy standards since the federal government started regulating CAFE in the 1970s. The 2025 targets still must be officially adopted by the federal government. Marchionne said Chrysler's hybrids would be in addition to a broad offering of diesel-powered vehicles in the United States. He said Chrysler will begin offering a diesel-powered Jeep Grand Cherokee in 2013, and thereafter most Chrysler Group large vehicles will offer a diesel in the United States. Most Chrysler, Dodge and Jeep models exported to Europe are diesel powered, but none is sold in the United States. In its November 2009 five-year plan, Chrysler said 14 percent of its global sales would be powered by diesels by 2014, up from 8 percent in 2009. Meanwhile, Marchionne said that offering compressed natural gas in a significant part of Chrysler Group's lineup would quickly improve the company's average fuel economy. "The likelihood of that happening is uncertain, but I'm still hopeful that at least a sizable portion of the U.S. market will develop CNG capability. And we are ready," he said. Chrysler's parent, Fiat S.p.A., is Europe's leader in CNG sales.